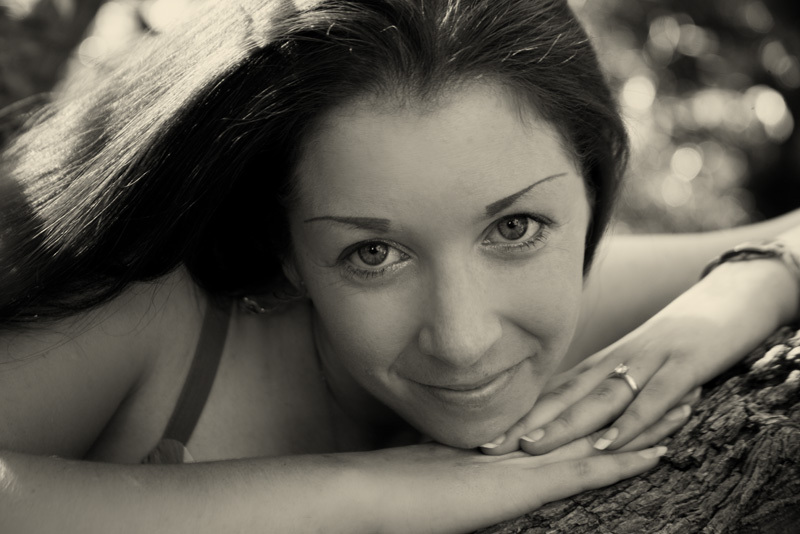 One of Club Fantasci’s hosts Dionne Lister releases some new flash fiction on her website. Read it here! In this self-published ebook, Terry Goodkind returns us to the New World, land of Richard Rahl and Kahlan Amnell, but many centuries in the past. The book is set in the time of the first war with the Old World, a time glimpsed in the journals of Kolo, found dead guarding the sliph, and painstakingly translated from High D’haran by Richard and Berdine; the time of the creation of monsters from men, when sliphs, and dream walkers and Confessors were newly birthed. 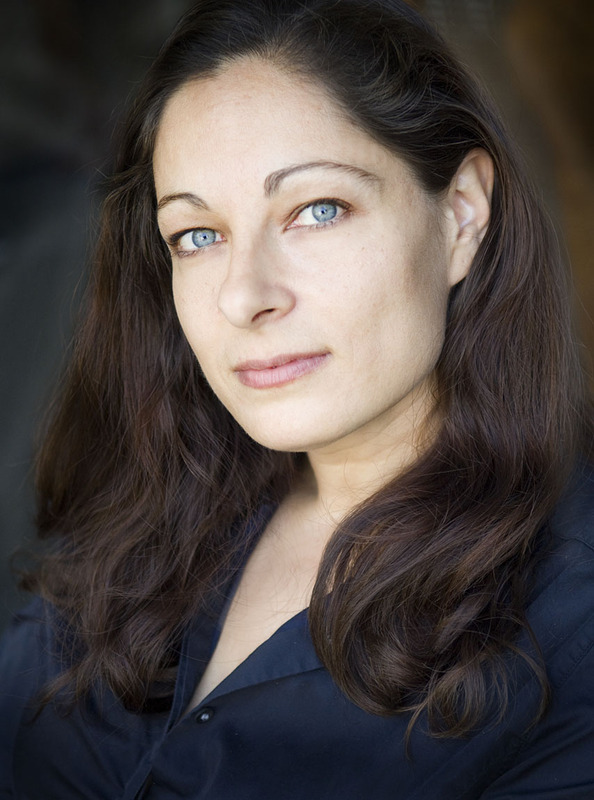 The protagonist is Magda Searus, and the book is almost entirely set in the Wizard’s Keep in Aydindril, with a few scenes taking place in the city or just outside the city. If you’ve read all the other books, you already know she is the first Confessor, so there’s hardly any suspense in it (as if the title hadn’t already given it away). Lack of suspense is a common problem in a prequel, where enough of the story is known to the reader it becomes difficult to create hooks to keep teasing the reader along. In this case, I think the book has sufficient hooks, although I wouldn’t go so far as to call it a compelling page-turner. Although we know the general outcome of this part of history (Magda Searus becomes the first Confessor), we don’t know the details, as the information known to us from Kolo’s journal is often vague on some points. So the book contains some suspense in the sense that we know Magda must be transformed, but we don’t know how, or what might happen to her along the way. In fact, one of the key plot points is that Magda is vehemently opposed to the transformation of people into something other than they were born by use of magic, and we travel with her for the evolution of her understanding. There are a few other key characters – Prosecutor Lothain, who we already know from the Sword of Truth series is a terrible bad guy, although the reason why (to gain access to the Temple of the Winds, he must walk the Path of the Betrayer, thus betraying his loyalty to the New World) isn’t touched on in this book, and remains something we only know from The Temple of the Winds. Possibly this is because the only person who knows these details at this particular point in time is Baraccus, First Wizard – and he’s dead. The other key character is Merritt, whose name I instantly recognised, but couldn’t immediately place, although eventually I remembered he was the first Confessor’s wizard. Lothain is suitably detestable, and Merritt perhaps the most likeable of all the characters, although he arguably channels too much ‘Richard’. I won’t say I didn’t enjoy the book, because I did, but there were definite points that bogged the story down, sections I skipped or skimmed, and that’s not really like me at all. Magda consults with a spiritist, a sorceress who works with spirits, and the spiritist recounts her story to Magda – in laborious detail, spanning multiple chapters of not much besides dialogue. While it turns out the tale was critically important, I didn’t know that while reading it, and found it tedious to endure. I’m sure there would have been a more effective way to tell the story – perhaps even using the spiritist as a viewpoint character to tell parts of the tale as it happened. Goodkind is also known for being ‘preachy’. This has never overly bothered me, but in this book (and also The Omen Machine) I felt it became a bit laboured. We’ve heard it before. We know all the principles Goodkind espouses. I’m beginning to feel a bit beaten over the head by them. Granted, they may remain relevant to the story; so touch on them, and move on. Instead, I got pages and pages of characters spouting their ‘beliefs’ in a way that really began to feel like the author is just using the characters as his mouthpiece. I. Get. It. I’m not that stupid. Now can we please move on to something more interesting? If anything, I would say The First Confessor is even worse in this sense than The Omen Machine. Perhaps this is because it is self-published – while Goodkind’s editor clearly didn’t do a fantastic job of reining in the author’s impulses in The Omen Machine, The First Confessor may be an example of what we get when there is no one reining them in at all! Other issues were more minor nitpicks. The response to Alric Rahl’s solution of the devotion to protect against the dream walkers wasn’t entirely what I’d understood it to be from previous Sword of Truth books, but this can arguably be explained away by saying the histories weren’t clear. Also, a bunch of mysterious murders take place in the Keep, and I feel the potential for conflict and suspense inherent in these murders was not utilised to its full capacity. The story winds up by explaining some of the mysteries we were aware of from Richard’s studies into the histories and Kolo’s journals, and to this extent I was satisfied. I am a little unclear on the treatment of the Sword of Truth, as it doesn’t match my recollection of the nature of the Sword in the Sword of Truth series, but possibly that is my faulty memory. I would need to re-read the series again to double-check, I think. Worth a read, but hardly Goodkind’s finest example. Still miles better than Soul of the Fire and The Pillars of Creation, the two Sword of Truth books I personally detest. Club Fantasci’s Ciara Ballintyne has a Baby Girl! Congratulations to our own Ciara Ballintyne on her giving birth to her baby girl Charlize Ballintyne! Charlize was born at 8 lbs 5 oz. Join us in congratulating Ciara, her husband and Charlize! Welcome to Ottosland, a country with a vague British flavour, in a world that more or less resembles ours, except that alongside the telephone sits the crystal ball. This is a world of both magic and technology. Gerald Dunwoody is a Third Grade wizard, graduate of a mere correspondence course in wizardry, and reduced to the level of inspector for a government department. When the blame for the destruction of Ottosland’s most prestigious staff factory falls on Gerald, he finds himself virtually unemployable. At the enthusiastic insistence of his genius friend, Monk Markham, Gerald takes a job as advisor to the King of New Ottosland. Monk reasons that Gerald needs to get away from the debacle that is the destruction of Stuttley’s, and when he returns, not only will the uproar have died down, but Gerald will have ‘advisor to a king’ on his resume. Reg, Gerald’s apparently sentient bird, is less enthusiastic. Potential employers need to be vetted, she says. Royalty can be dangerous. And what does a king want with a Third Grade wizard? Against Reg’s objections, Gerald takes the job and they travel to New Ottosland, where they are greeted by Princess Melissande, the Prime Minister of New Ottosland. It quickly becomes clear things are not at all what they seem. The Privy Council has been sacked. Melissande, under-staffed and over-worked, is trying to do the work of the Council, the Prime Minister, and negotiate with a delegation from neighbouring Kallarap about tariffs the king refuses to pay. The kingdom is verging on bankruptcy. And King Lional himself demands that Gerald impress him, or be sent on his way. Sweating under pressure, Gerald somehow manages to turn Lional’s cat into a lion. A level 12 transmogrification spell? Impossible! Such a feat is beyond the skills of a mere Third Grade wizard. But what if Gerald isn’t a Third Grade Wizard anymore? What if the events at Stuttley’s have… changed him? Completing the royal ensemble is Prince Rupert, more interested in his butterfly house than the running of a nearly bankrupt kingdom or royal politics. He is quite obviously mad, and yet Gerald has the sinking feeling that Rupert might be the saner of the two brothers when Lional announces that Gerald will be his secret weapon in the negotiations against Kallarap. Why is Lional determined to provoke war against his neighbours? What happened to the missing wizards? And what does he want with Gerald? The book is engaging and fast-paced, as well as humorous, though perhaps written more in a young adult style. If that bothers you, give the book a miss, but I found the story compelling and well-written. Though hardly the most competent wizard, Gerald draws you in with his personality, his well-meaning dedication, and his genuine attempts to make the best of a bad situation. When things turn really pear-shaped, he is really tested, and the decisions he makes will shape the man he will become. A mostly fun, light-hearted read interspersed with darker moments, the book is a solid, well-written effort and definitely worth your time. Dionne Lister to be Interviewed on Artists On Demand Radio Podcast Today. Today at 10 am Sydney time, 7 pm American EST our own Dionne Lister will be interviewd on Artists on Demand radio/podcast. 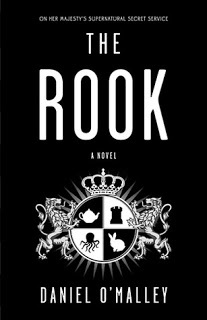 I picked The Rook up free at GenreCon in Sydney, Australia – part of the free goodie bag every conference attendee receives. Though it was outside my main reading tastes (i.e. not epic fantasy), the blurb intrigued me, and it certainly contained enough elements of the supernatural for me to say ‘close enough is good enough’. Myfanwy Thomas (pronounced Miffany, to rhyme with Tiffany, rather than the correct Welsh pronunciation – ugh) opens her eyes in a park, surrounded by a ring of dead men, with a letter addressed to ‘You’ from ‘Me’ – the former occupant of the body. Intriguing, but I must confess the initial chapters had me most confused as to whether this was a case of body-switching (my first impression) or amnesia. By about a quarter of the book, I’d settled comfortably on amnesia, but a quarter is too much to be confused and I was disappointed because I’d misunderstood, and the body-switching sounded far more interesting than garden variety amnesia. Guided by the letters, Myfanwy must decide whether to find out who is trying to kill her (the former ‘her’) or escape to a life of comfortable anonymity. Having chosen to flee her unknown assassins, she is thwarted in the attempt by an attack at the bank where she is to retrieve instructions on how to make a clean escape. When she mysteriously leaves her assailants unconscious, she instead elects to resume her former life and hunt down the person trying to kill her. Myfanwy discovers she is a ‘Rook’ in the Checquy, UK government department tasked with controlling the supernatural – one of the eight powerful leaders of the organisation, and possessed of supernatural powers of her own. Using comprehensive notes left by her predecessor, who knew she was to lose her memory, she bluffs her way through her first few days of fumbling ignorance to secure her position in the organisation. Once established, she sets out to find the traitor in their midst, and stave off an ancient, powerful enemy from the Checquy’s past. While the plot was intriguing and enjoyable, and by the end I was completely enthralled and found myself compelled to finish, desperate to know the identity of the traitor, I found the book suffered from a number of problems that on a pickier day would have led me to drop the book like a hot potato. As it was, I was at least halfway in before I felt fully invested, and that is far too late. Myfanwy. What kind of person would take someone whose name is pronounced ‘Miffany’ seriously? Worse, someone called her ‘Miffy’. My toddler watches a cartoon with a rabbit called Miffy. I cannot abide it. I have no idea what purpose this incorrect pronunciation of the name was intended to serve. When Myfanwy’s long lost sister turned up, it appeared Myfanwy had been mispronouncing her own name (not that revelation change anything). Given she was old enough to know how to pronounce her own name when she was taken into government training, I’ve no idea how this happened, or why it happened, except to annoy the reader. Author Sherrilyn Kenyon needs no introduction, as she has been a best selling author for quite awhile now. In her first book of the “The League” series, “Born of Night” is a strong opening for what should be a fun group of books to follow. Main character Nykyrian Quikiades is a ruthless assassin that has chosen to lead a group of fellow assassins carrying out contracts and always looking over their shoulder as Nykyrian has turned his back on The League that at one time he was the Command Assassin of. Nykyrian rescues the kidnapped Princess Kiara and he and his band of assassins try to keep her out of harms way, facing desperate parents, numerous assassination attempts all while Nykyrian has to come to terms with his tortured past, inability to let any close and his growing feelings for a Princess he has to protect. Princess Kiara is struggling with her unhappy life of expectation in a career that is emotionally draining. Having to learn how to keep her strength up when she is being hunted for reasons she doesn’t understand and having a terrifying group of people around her for protection is almost too much to bear. While Nykyrian is the typical, unbeatable, extremely good looking main character, the depth of character that is revealed in him is impressive. Kiara although a bit whiney and who wouldn’t be going from a palace to targeted for death, goes through her emotional roller coaster we all go through when your solid rock is destabilized in favor of a sudden harsh and terrifying reality is imposed on your life. The self-discovery process that both go through is well thought out and implemented here. I think it’s fairly obvious that the message here is about not judging a person necessarily by what you see or what little you know of them. Life’s circumstances often shape a personality into something that is completely defensive while the real person is dying to get out of their shell. “Born of Night” has good pacing, exciting action and great character development. 4 out of 5 stars for me. 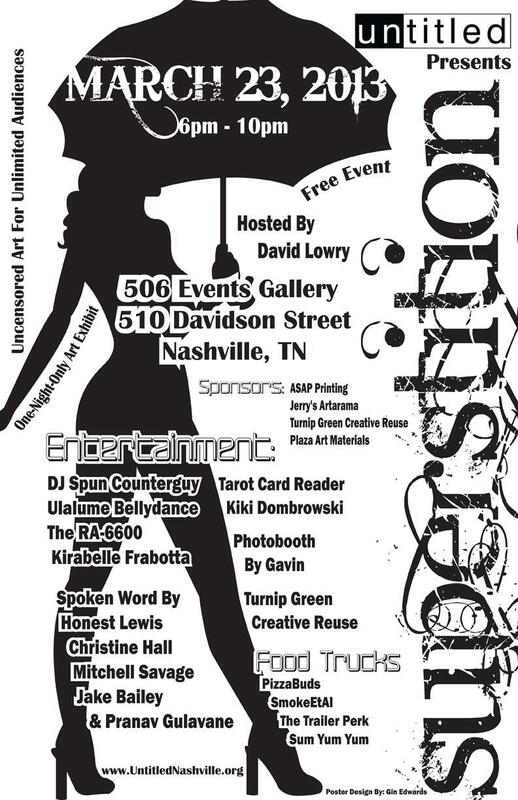 Club Fantasci Host David Lowry to Host the “Superstition” Art Exhibit in Nashville. David Lowry President of The Lowry Agency, Host of Live From Music City, Host of Club Fantasci and Columist for Metalholic Magazine will be hosting the “Superstition” Art Exhibit on March 23rd in Nashville, TN. Please see the poster for details.